Join us to create one of a kind treasures for our Artisan Shop (fundraising table). Any scrap yarn, any color. A design no larger than 4” x 4” drawn on tracing paper..
Brenda will supply styluses and metal. 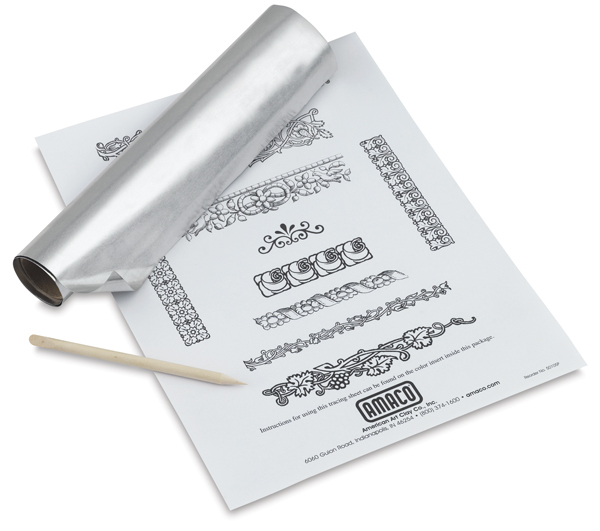 Laser copies of artwork (ink jet will wash away) which can be made at any office supply store. Make multiple sizes to cut up. Copies sized 8.5 x 11 and reduced down from that work well. We will have trays, boxes and other items to decorate or paint on. The embossed metal and/found objects can be incorporated onto your piece, as well. This workshop will incorporate some new, fresh ideas with some old standbys. Don’t miss it! You may join us or leave at any time. If YOUR time is short, stop by and pick up something to work on at home. This entry was posted in Classes and Workshops, Events. Bookmark the permalink. I’m sure Sharon would be glad to help you! I’ll make sure she gets your message. Enjoy your trip! I will be in San Francisco that weekend. Can Sharon provide written directions for wrapping the branches and a photo? I can try to do one or two when I get back from my trip.